The young achievers and summit awards has released a list of names of young and budding individuals for the 2018 edition of young achievers summit and awards. These young men and women were selected after a period of public nominations online for the various categories under the young achievers awards scheme. 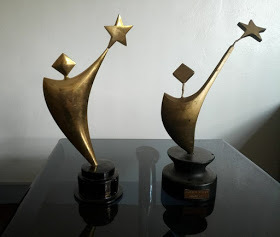 These categories include the overall entrepreneur of the year, emerging brand of the year, male entrepreneur of the year and female entrepreneur of the year. To determine the winner of the award under each category of the Young Achievers Summit and Awards, the general public is invited to vote for their preferred nominees among the above shortlisted young achievers under the various categories. Voting starts online on www.twentyplusgh.comfrom Monday 16th July 2018 . Young Achievers Summit and Awards is a TwentyPlusgh initiative in partnership with NMJ Ghana. For more information call 0553016870.